Making it and learning about it is our departure point. But, there is room for more. 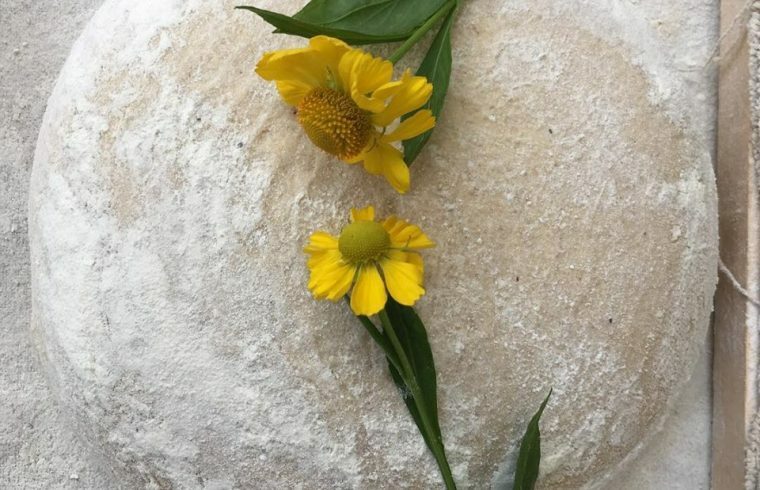 Can we for example use the process of making bread also as a metaphor to address topics in our society, such as climate change, food and sustainability or bringing people from different cultures together and learn more about each other? How do the flavours of bread pair with other food and what can we learn more from such parings. Enough food for thought in our circular bakery. Two LAB workshops are “cooking”. Intended for the curious minds, for those who enjoy exploring new ideas, innovation and also developed for green thinkers! Does your gut hold the future ? One of the goals of Baking Lab is to co-create and to motivate students to translate the knowledge they receive into use cases for the general public. Sarah Veldman (Wageningen University, Master of Food Technology, Food Digestion and Health) and Elise de Jong (UvA, Biology & Future Planet Studies) are learning about the way we eat and the state of our planet. They develop a model in our LAB to investigate together with other members of the workshop if we can cook surprising relations between the words food, health and sustainability, which often find themself locked into easy slogans. In other words, Does your gut hold the future? Wine and bread have more in common besides being fermented products. Both are often mentioned in biblical sources and have played an important role in dreams that eventually paved the way for the exodus story of the Israelites from Egypt. Wine & bread share a table full of flavours and stories. Simon Veldman, sommelier at restaurant Vermeer in Amsterdam, will guide. Together with other members of the workshop he will explain and explore the flavours of wine and its pairing (or not) with different type of breads. More information about this LAB workshop. We enjoy the little circular implementations incorporated into our bakery and lunchroom. We reuse old bread, fruit fibres from our juicer and incorporate leftover heat from the ovens into our process. Check our facebook or instagram for more visual and circular impressions. We hosted in collaboration with Wageningen University a seminar about carbs, to inform popular food bloggers about the subject. We plan to examine together with Civic Amsterdam ways to socially contribute to the neighbourhood. At the same time we have employees from a leading international advertising agency (Wieden & Kennedy) occasionally run around in the bakery in a kind of private corporate programme. We also organise an evening with In My Back Yard to help refugees in Amsterdam Oost feel more at home and this weekend we will be present in the umami food festival in Amsterdam KIT, part of the We Make the City festival. In other words, we keep also baking stories.